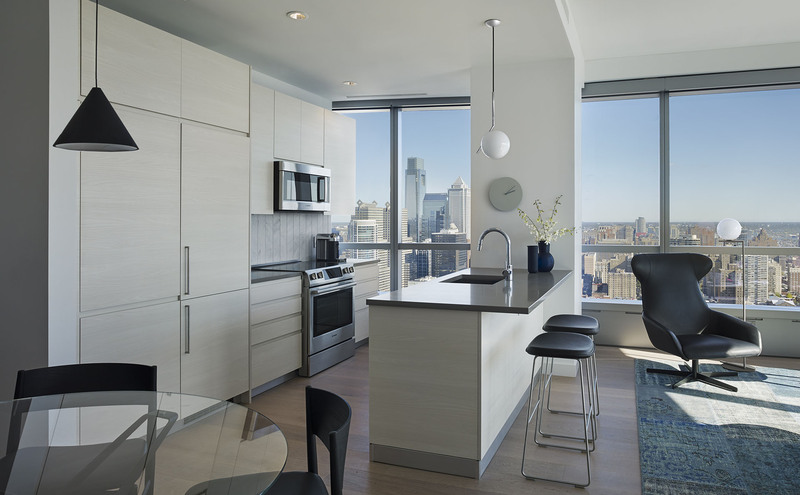 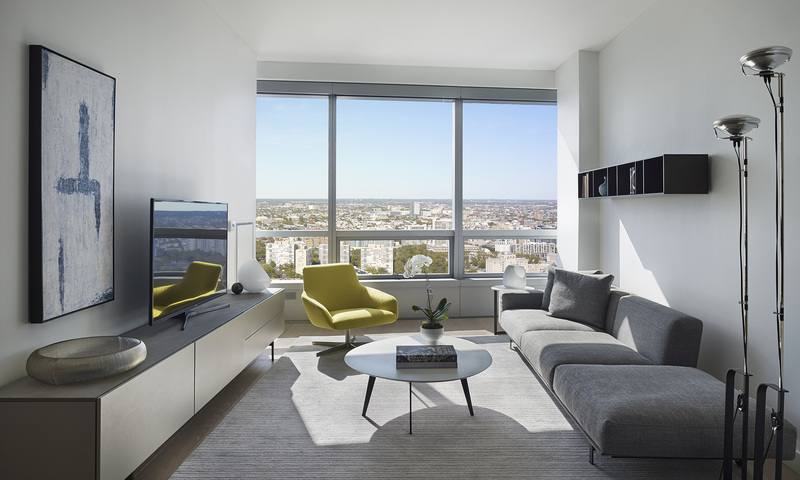 Located on floors 29 through 46, the residences at AKA University City boast soaring 10-foot ceilings and some of the city’s highest and most striking panoramic views. 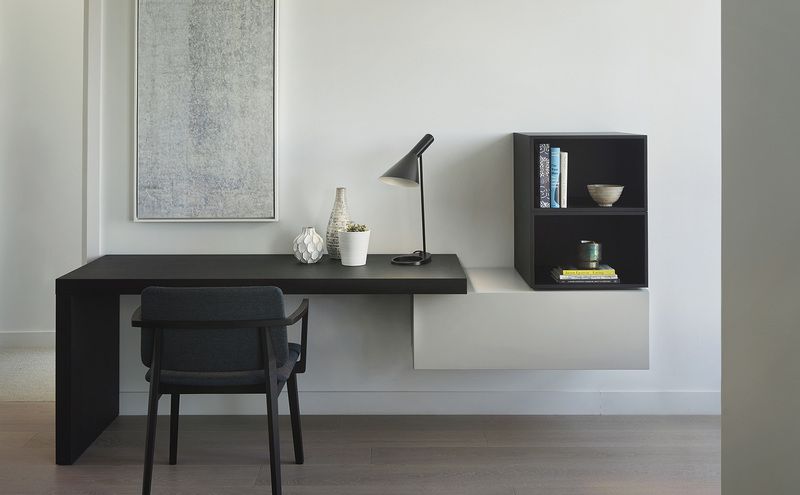 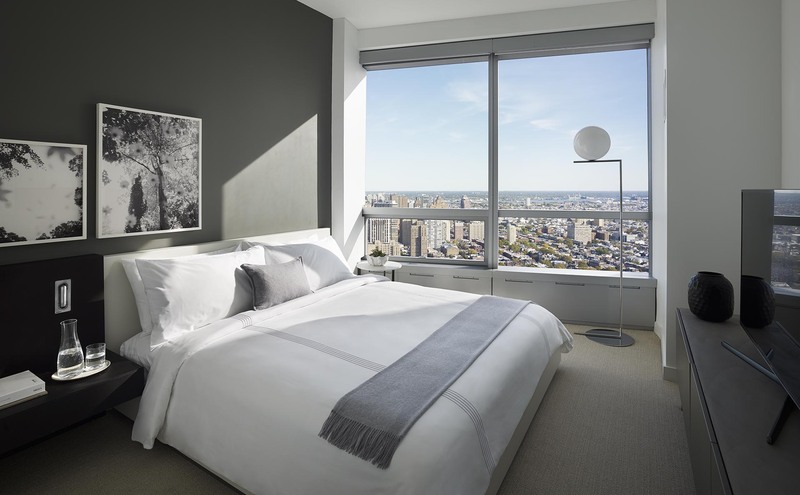 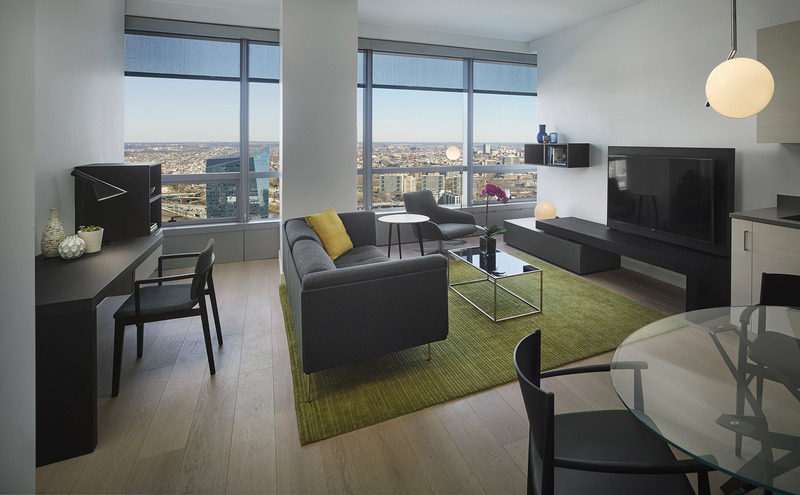 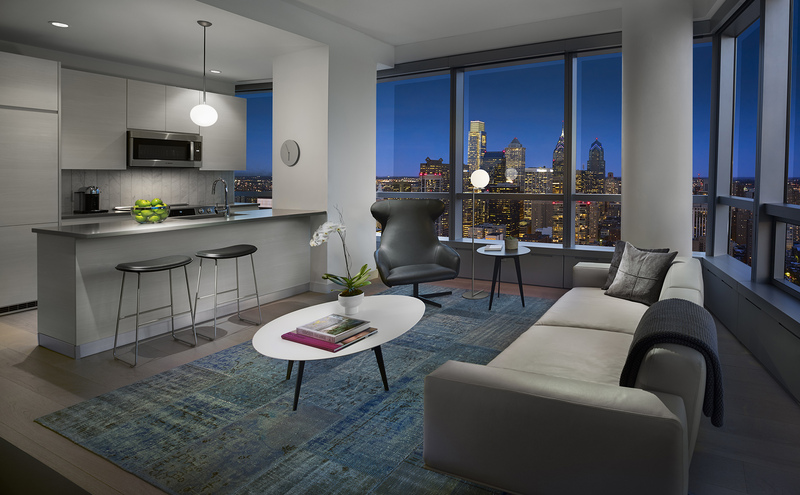 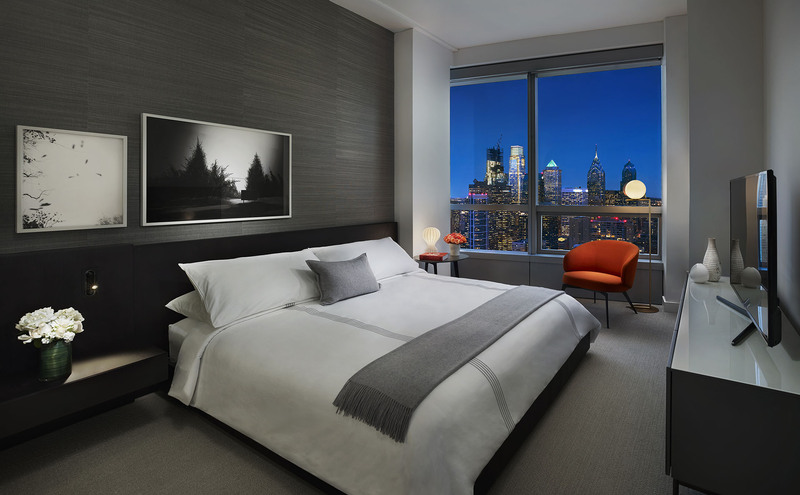 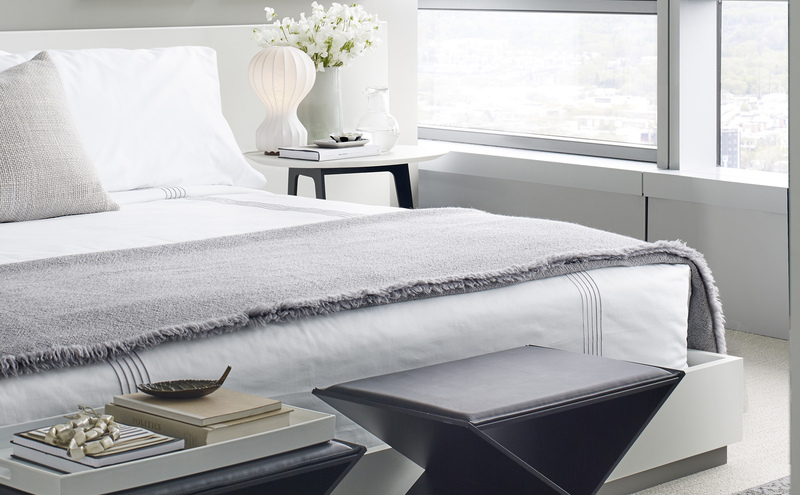 Conceived by award-winning NYC architects Asfour Guzy and internationally renowned designer and architect Piero Lissoni, these unfurnished Philadelphia residences in University City set a new standard for ultra-luxury living. 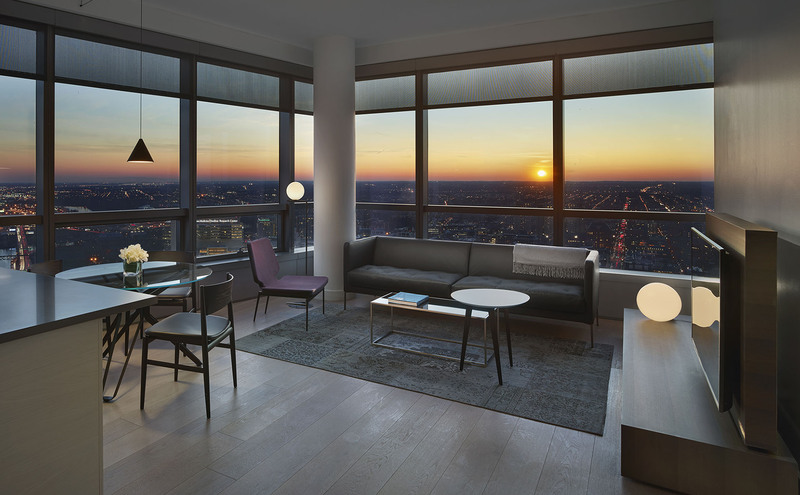 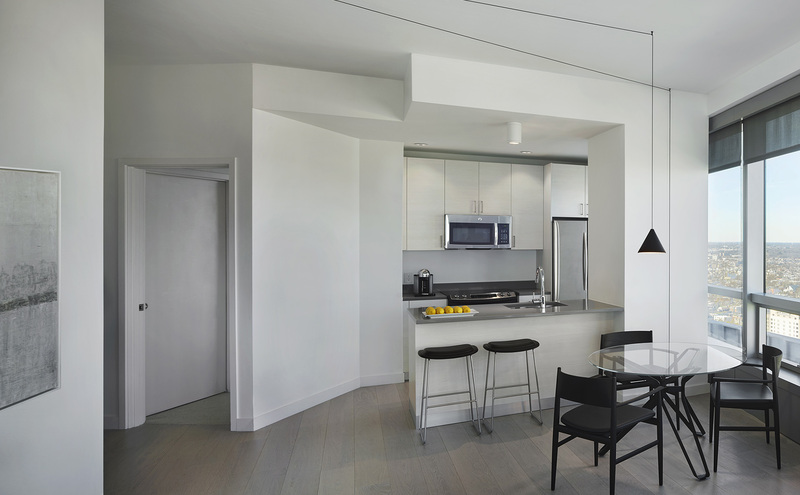 Spacious studio, one- and two-bedroom and Penthouse residences feature wide-plank Italian white oak flooring, and open living and dining areas ideal for entertaining. 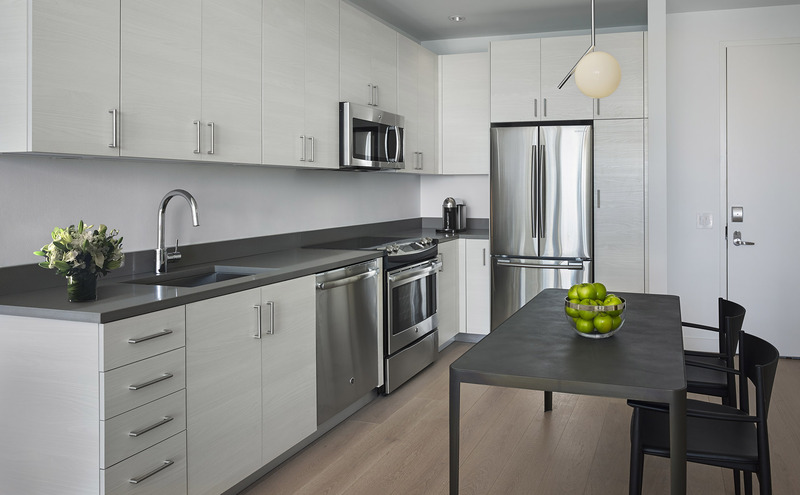 Kitchens are clad in custom Italian cabinetry, with premium stainless steel appliances. 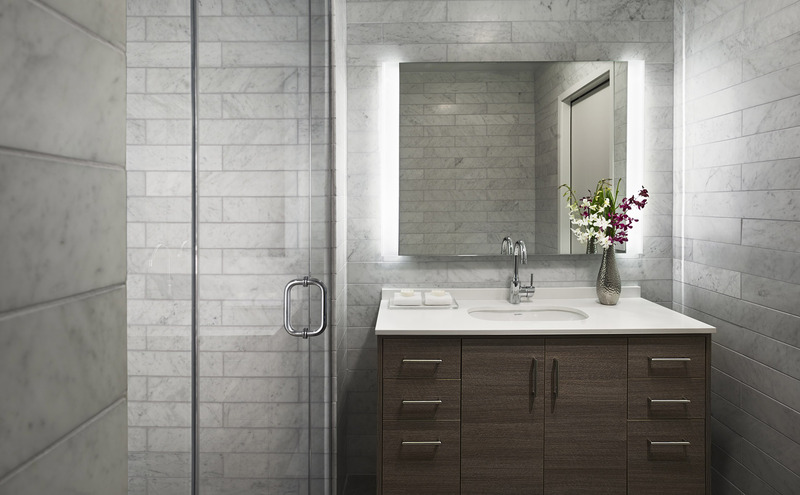 Luxurious, spa-inspired baths feature generous, glass-enclosed showers; Grohe fixtures; ample cabinet space; and dual-lit mirrors. 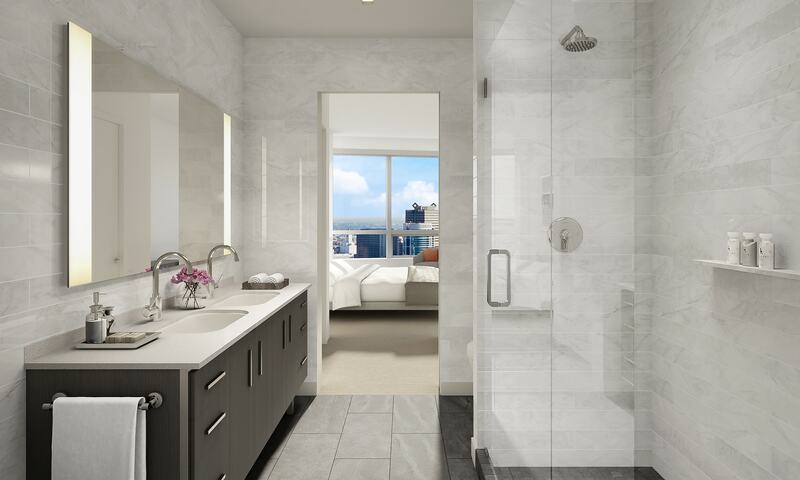 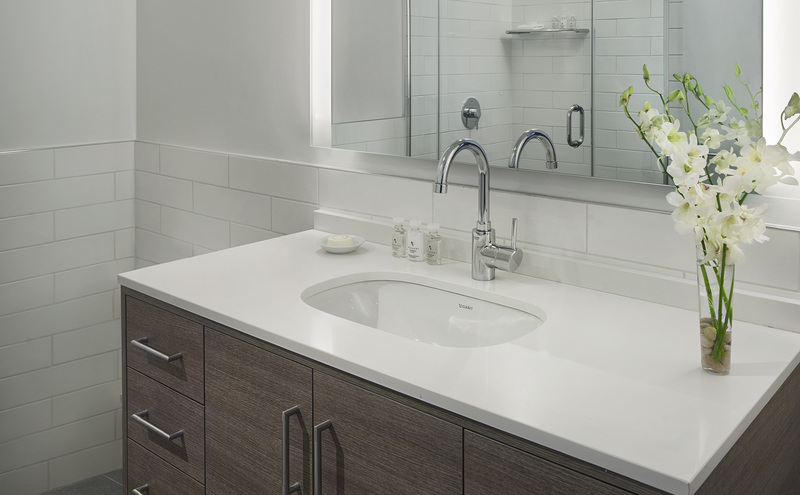 Penthouse Residence baths are fully-clad in elegant Carrara marble.